With the wedding season just around the corner, The Wedding Fair by Emaar Hospitality Group promises to be an exquisite gathering for all happy couples looking to plan their wedding day. The fair will be hosted at Burj Park, Downtown Dubai, on 3 and 4 February 2017. Emaar Hospitality Group specialises in curating unique celebratory experiences and this new annual fair will be the largest open-air wedding fair in the region, bringing to life the traditions and heritage of different cultures. The picturesque venue, Burj Park, will feature four zones to showcase Arabian, South Asian, African and Western wedding concepts as well as a food and beverage section for you to relax and enjoy the day. The dedicated ethnic zones will be fitted to represent each region’s traditional wedding ceremonies and customs, showcasing ideas for memorable wedding celebrations and will also include a wedding couture catwalk for the most stylish trends. 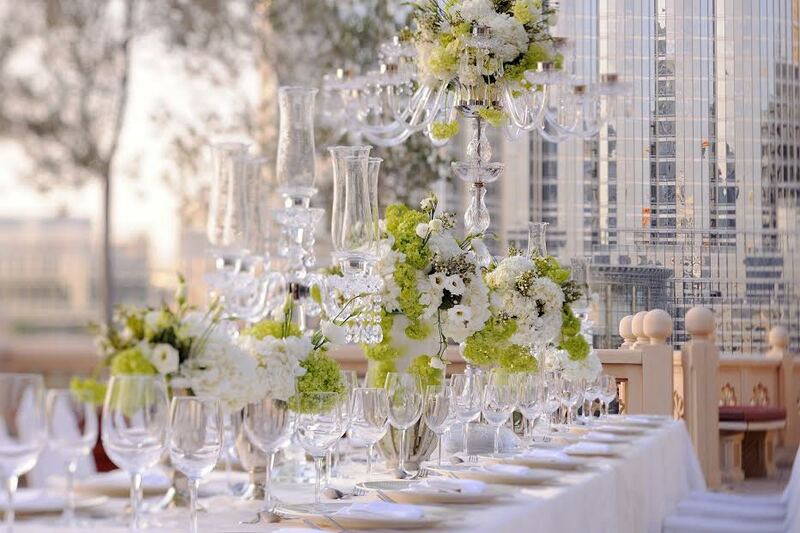 In addition, couples can meet with Emaar’s top wedding professionals to personalise their special day. Whether you’re looking for spectacular venues, inspirational wedding concepts, wedding couture, talented wedding photographers, luxurious accessories, jewellery, a designer wedding invitation, outstanding entertainment, delectable food and beverage, hair and make-up experts or gift registry options, visit The Wedding Fair by Emaar Hospitality Group for a captivating journey to meet all your needs. Participating Emaar Hospitality Group wedding venues include The Palace Downtown Dubai, The Address Boulevard Dubai, The Address Dubai Mall, The Address Dubai Marina, The Address Montgomerie Dubai as well as Arabian Ranches Golf Club and Dubai Polo & Equestrian Club. Whether you are dreaming of an outdoor wedding boasting spectacular views, a luxurious ballroom or a lush green setting, Emaar Hospitality Group has a range of venues to choose from including The Viewing Deck at The Palace Downtown Dubai, The Constellation Ballroom at The Address Dubai Marina or The Lawn at The Address Montgomerie Dubai. For unique settings, explore the Water’s Edge at Arabian Ranches Golf Club, Saha Courtyard at Dubai Polo & Equestrian Club or Boulevard Ballroom at The Address Boulevard Dubai. Don’t forget to also experience the renowned Vida Food Truck - a 1960s Airstream – offering the unique option of catering to wedding guests at private outdoor locations. Whether your wedding is an intimate affair or an extravagant celebration, there is a wide range of spectacular venues to choose from, accommodating from less than 100 people up to 2,000 people depending on individual requirements. The Wedding Fair by Emaar Hospitality Group also offers the chance to win honeymoon flight tickets to London and to Sydney in Business Class with Qantas for two couples as well as a wedding photo-shoot to capture the wedding day forever for one couple. Try, buy, book and hire everything you need for your special day at The Wedding Fair by Emaar Hospitality Group.